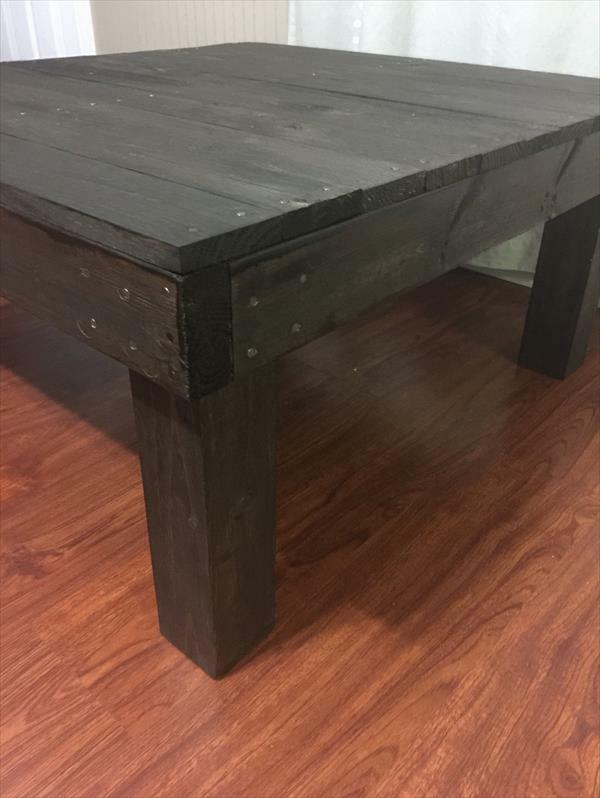 To build a coffee table out of pallets, just takes no time! 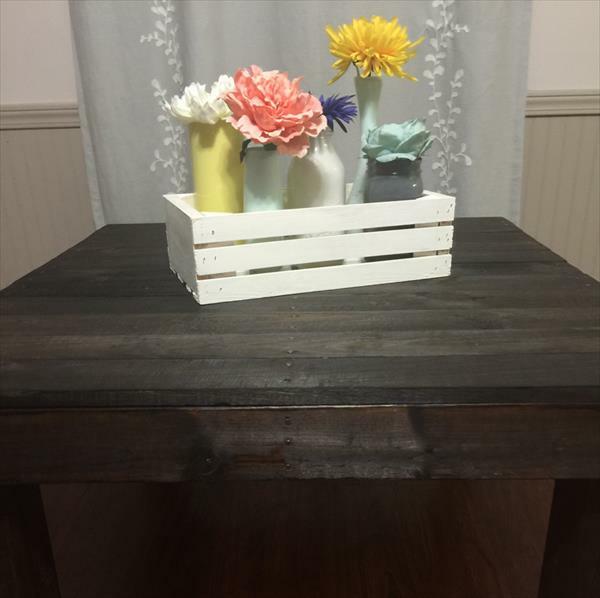 Pallet wood is high quality wood and should not be thrown away just to rot away! They can even be rebuilt into marvelous furniture pieces after retirement from the ships! So what you are waiting for? 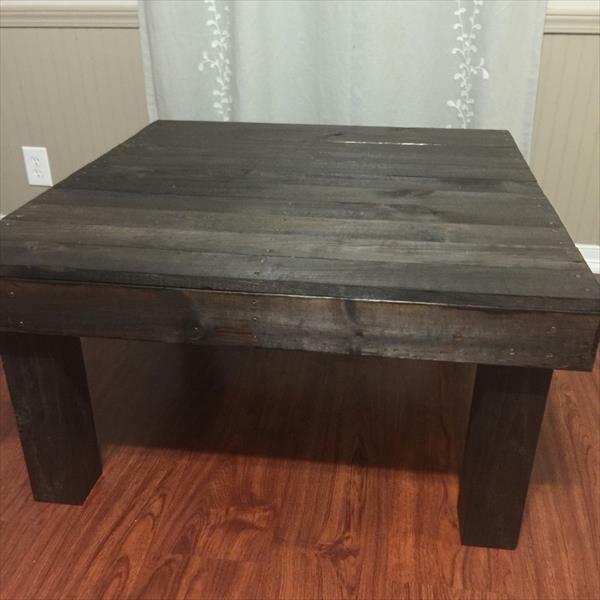 Just build this DIY recycled pallet coffee table and add distinction to your living room! Black hue will really give an inspiring look would really give a “wow” factor to whole of the living room ambiance! 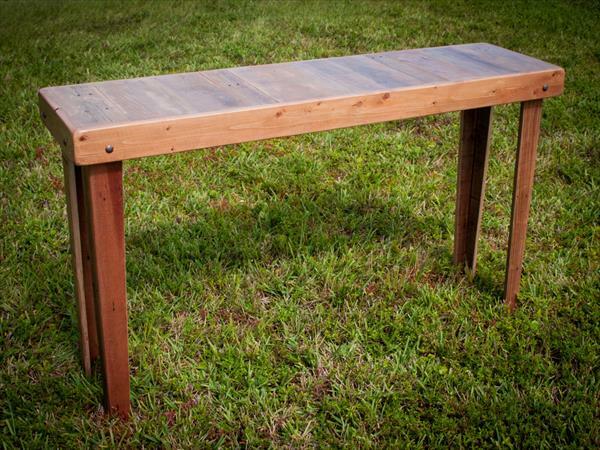 To avoid any damage to sides of this handmade coffee table, metal sheets have been used to cover the sides and edges! Table is low and comes in beefy dimensions to last longer! 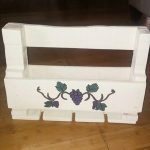 This is really a project that everyone can do with pallets and is totally free of cost! Black Espresso stain has been used to give a dominant finish and extra protection to wood grains! Think more like a genius and get more to facilitate your current living style!